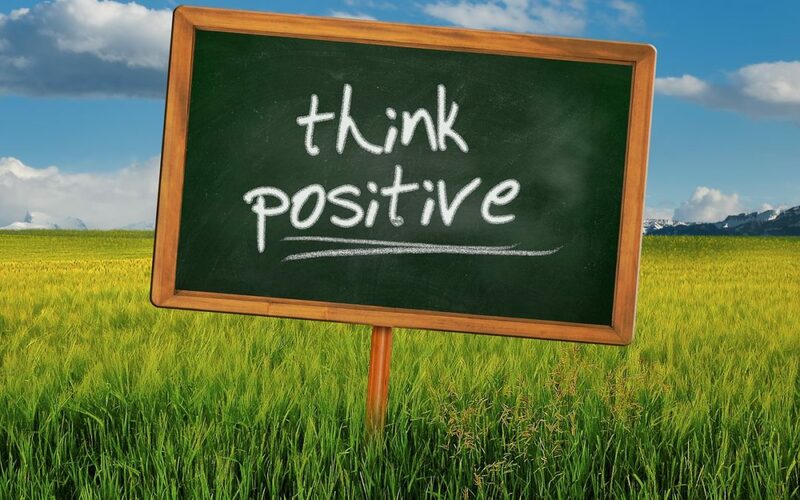 You know thinking positive is good for you, but it may be difficult to put that belief into action. Can you develop a sunny outlook when your bank account is almost empty or your boss is yelling at you? The truth is you can control your attitude regardless of what is going on around you. Follow these practical steps for understanding yourself more clearly and making each day a more joyful and rewarding experience. 1. Assess your personality. Your personality is your unique combination of qualities and traits, and your attitude is the way you decide to look at the world. While you can make fundamental changes, appreciating your basic nature helps you to focus your efforts and pick strategies that leverage your strengths. 2. Question your assumptions. Learn to distinguish between beliefs and facts so you can let go of your limitations. For example, you may be single, but unless you live on a deserted island there are other adults you could date, so it’s unrealistic to think that finding love is impossible. 3. Watch your language. Words are powerful. Choose statements that give you hope. Avoid exaggerations that turn minor irritations into major disasters. 4. Examine your relationships. Attitudes can be contagious. It’s easier to stay on track when your interactions with others affirm your value and increase your confidence. Share meaningful discussion and activities. Resolve conflicts promptly and limit complaining. 5. Manage stress. Pressure is part of life, but you can find constructive ways to let off steam and hold onto your inner peace. Set aside time to meditate or pray each day. Take a long walk or soak in a warm bath. 6. Stay fit. Honor the connection between your body and mind. It’s easier to feel enthusiastic when you’re eating a balanced diet, exercising regularly, and sleeping well. 1. Set specific goals. Identify one area at a time to work on. Lasting change takes time so you may want to aim for maintaining your new way of thinking for an hour or a day at a time to increase your chances of success. 2. Reframe challenges. Be prepared for obstacles. Let adversity teach you to take refuge in a constructive mindset instead of surrendering to external conditions. Look at the big picture and muster up your courage. 3. Seek support. You can accomplish more by teaming up with others. Let your family and friends know that you’re trying to create new patterns. You’ll be more likely to stick to your commitments. Ask for help when you need it. 4. Boost your motivation. Remember your purpose. The way you think defines your experiences. You can choose to be happier and more productive. 5. Move forward. Design a plan of action that will help you think differently and transform your old patterns. Take the first step. When you’re tempted to nag your spouse about an errand they forgot, switch your attention to the things you love about them. It will put the missing dry cleaning in perspective. 6. Reinforce your determination. Changing your attitude requires persistence. Just when you think you’ve become more patient or assertive, something triggers the old familiar response. Use setbacks as a teaching tool. Give yourself a reward for making an effort and celebrate each sign of progress. Look on the bright side and take concrete action to create the outcomes you dream about. Make it a habit to replace each negative thought with an inspiring message. A positive attitude will make you happier and help you achieve more.